BEIJING, March 20 (Xinhua) -- Chinese disciplinary inspectors were urged Wednesday to fulfill their duties of political supervision and provide a solid guarantee for securing a decisive victory in building a moderately prosperous society in all respects. 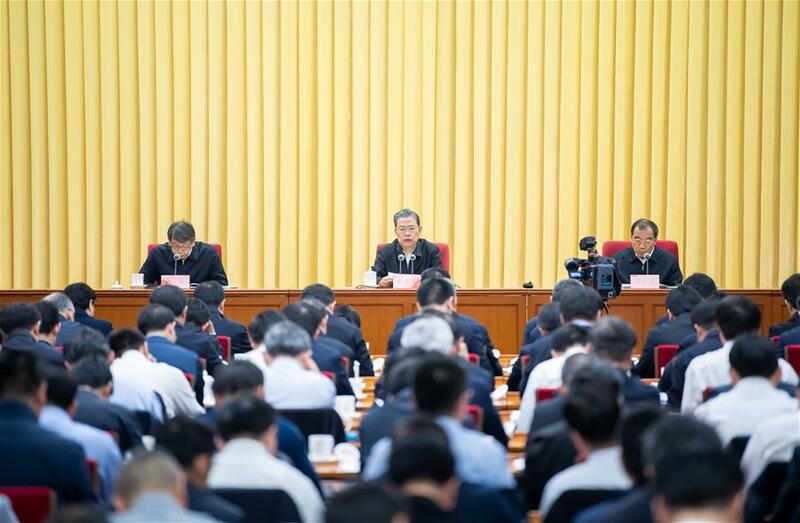 Zhao Leji, a member of the Standing Committee of the Political Bureau of the Communist Party of China (CPC) Central Committee and head of the central leading group on disciplinary inspection, made the remarks during a conference on national discipline inspection work. Plans on conducting routine disciplinary inspections over enterprises administrated by central authorities as well as over competent authorities for specific industries were made at the conference. Zhao stressed enforcing political discipline, addressing the practice of formalities for formalities' sake and bureaucratism, making political supervision a regular practice, and pushing for the implementation of major decisions and policies of the CPC Central Committee. A sound, effective oversight network, as well as a long-term mechanism governing the rectification of irregularities and malpractices identified by inspectors, should be formed, Zhao said. Regarding the disciplinary inspections over state-owned enterprises, Zhao said, Party organizations at enterprises should be urged to improve political sense and sense of mission and fulfill duties entrusted to them by the Party and the State.